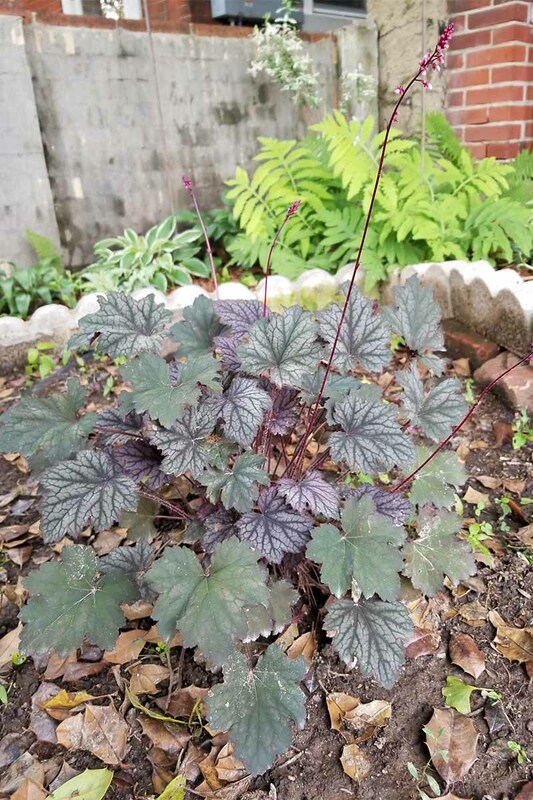 For the last few years, coral bells (botanical name Heuchera, sometimes referred to commonly as alumroot) have become my go-to plant for adding color and texture to the garden. I find ways to add it to almost every flower bed or container I work on, and am consistently satisfied with the final result. More importantly, my clients are happy too! I’ll admit, at first it was hard for me to get excited about coral bells. I wasn’t a fan of plants with foliage as their main draw. But I’ve come around, and started to love the steady and reliable performance of these plants. When I change out container material for clients, they often want to start with all fresh plants, so I’ve accumulated a small army of alumroot to call my own. I’ve placed multiple varieties in contrasting conditions, and have learned a lot about what makes coral bells happy. And after reading this, you will, too! Full Sun or No Sun, This Plant Doesn’t Care! 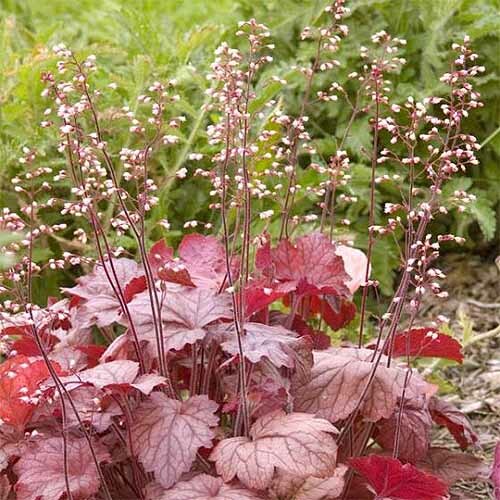 The primary appeal of coral bells is its foliage. Most varieties are a deep purple or burgundy, but colors ranging from red to lime green are available too. 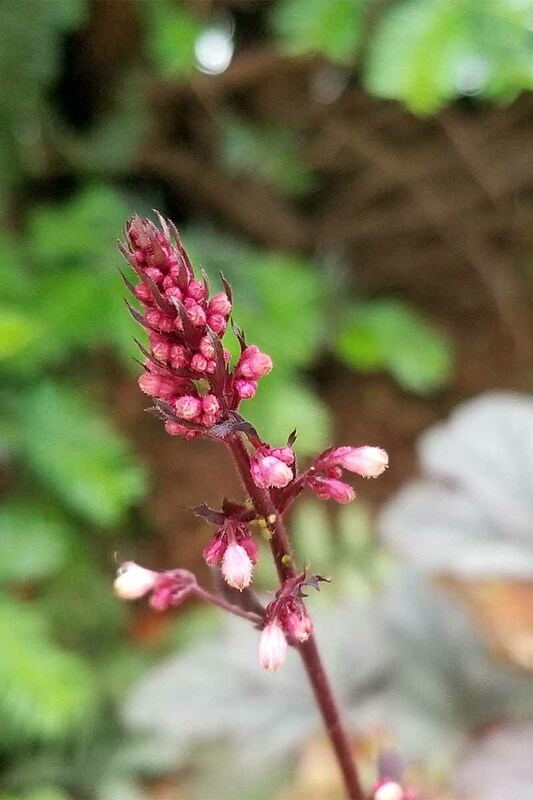 Heuchera have small bunches of flowers that grow on a long stalk, or thyrse. These flowers are delicate and colorful, but are not very flashy. And while they can be lovely and add a nice accent to the plant, the relative insignificance of the flowers allows the foliage to really stand out on its own. 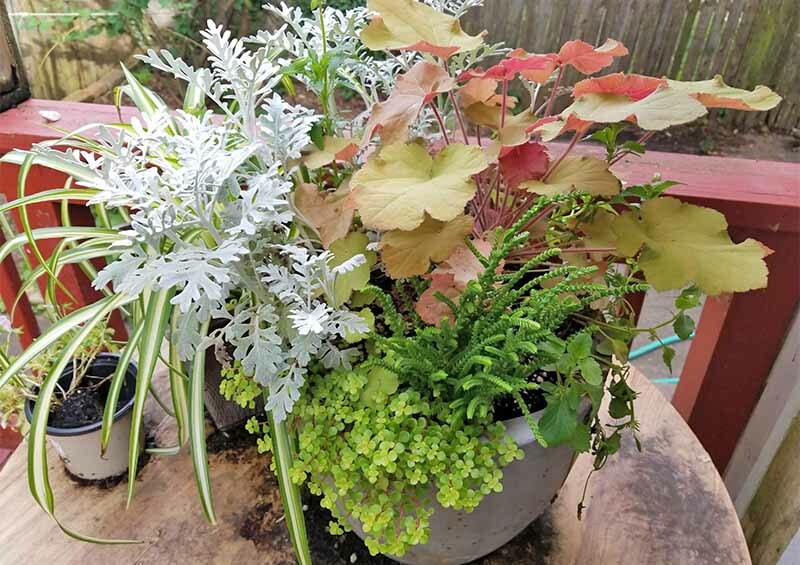 When you’ve got a location that’s a bit dry and hot, alumroot is a reliable go-to plant to fill areas in, and it’s excellent for xeriscaping and waterwise gardening. A nice accent to varied greens and silver dusty miller. Photo by Matt Suwak. 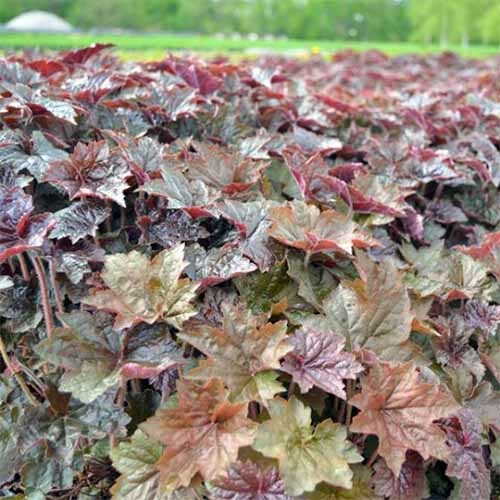 Most Heuchera will grow in USDA Hardiness Zones 4-9 and thrive in that middle ground of zone 5-7. However, some are capable of growing as far north as zone 3 or as far south as zone 11. I’ve seen Heuchera in upstate New York look as happy and healthy as the plants in Florida and Texas! 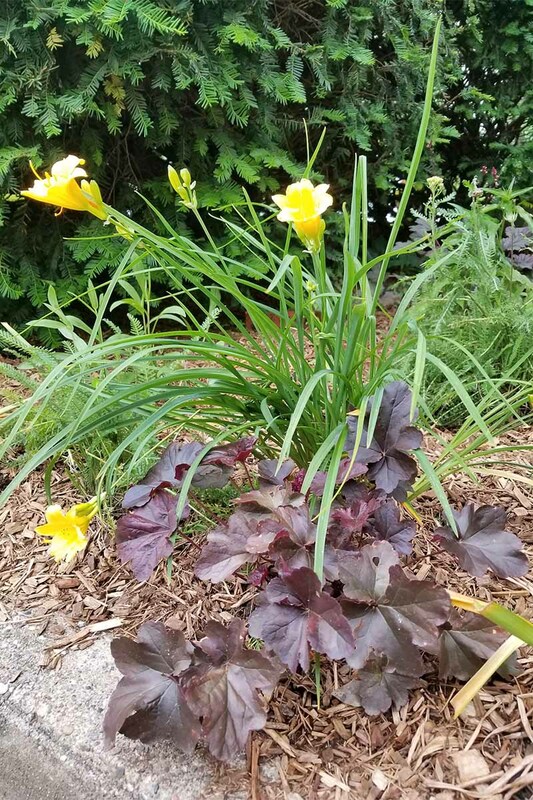 I’ve gone an entire summer without watering a particularly dry patch of my garden just to see how different plants thrived, and the coral bells looked as healthy as they did on the day I put them in the ground. 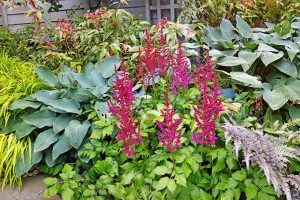 Popping coral bells into your containers is another smart choice. 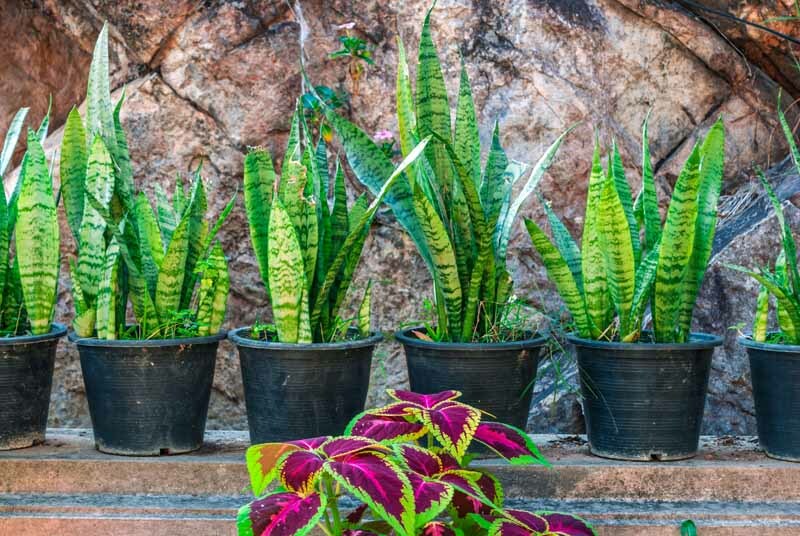 They grow well in containers and are happy to mingle with other plants. 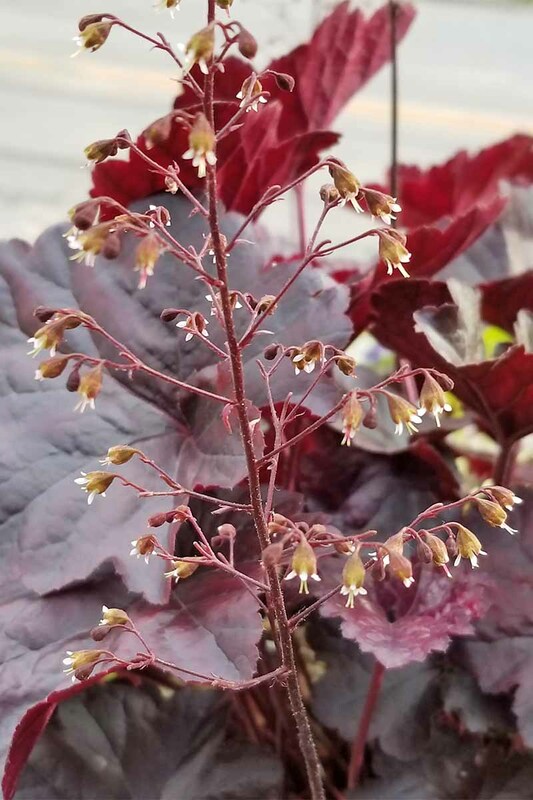 The variety of colors available makes Heuchera an easy complement to almost any design. I’m confident plopping my coral bells into pretty much any lighting condition. They are considered shade plants and seem to do their best with about 4-6 hours of sunlight a day, but I’ve worked with them in full-sun conditions and they are fine and dandy. You should check each cultivar to learn about its preferred conditions. But in general, the darker colored coral bells can withstand plenty of sunlight while the lighter-hued varieties prefer the shade. 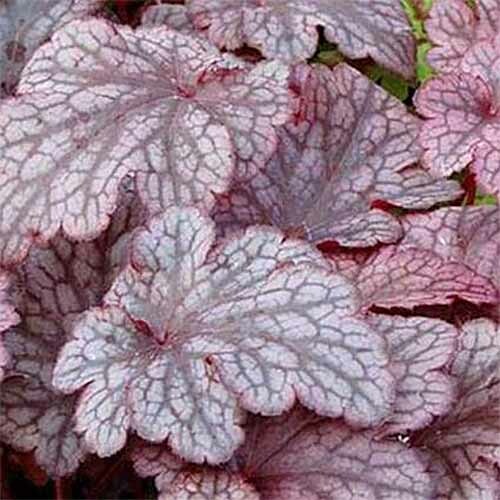 Like most plants, Heuchera of all types prefer some shade from the hottest afternoon sunlight, so keep this in mind when laying out your planting. In my experience, alumroot can go weeks without a drop of water and still look great. Of course, when they get that water they’re much happier, and look far healthier than their drought-stricken kin. 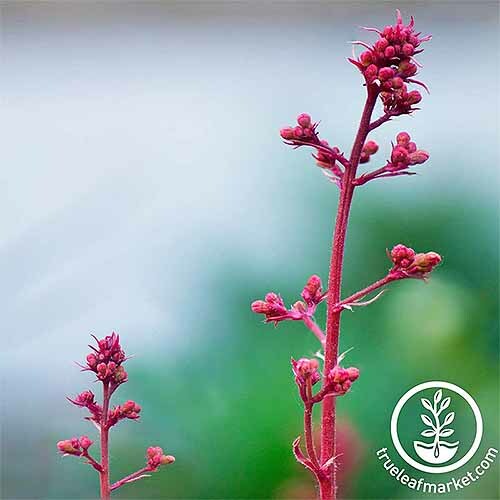 Most folks I’ve worked with indicate that coral bells prefer consistently moist soil (we’ll talk about soil requirements in more detail next), and that makes this plant a great partner of part-sun lovers like astilbe and hosta. I use a soaker hose covered with a layer of mulch for watering most garden beds… except that experimental dry patch that I have! I find that about 1 inch of rain a week is plenty for my shade-loving and moisture-savoring plants like Heuchera. If the weather is especially hot or my coral bells are in full sun, I’ll turn on the soaker hose for about 30 minutes. Dark foliage adds a nice accent to brighter flowers like ‘Stella D’oro’ daylilies. Photo by Matt Suwak. Now, I’ve also planted Heuchera in conditions where they’ll never get watered, and they survive just fine. When I put together containers for clients who want nothing to do with a hose, I always use coral bells because the plants tolerate drought conditions so well. 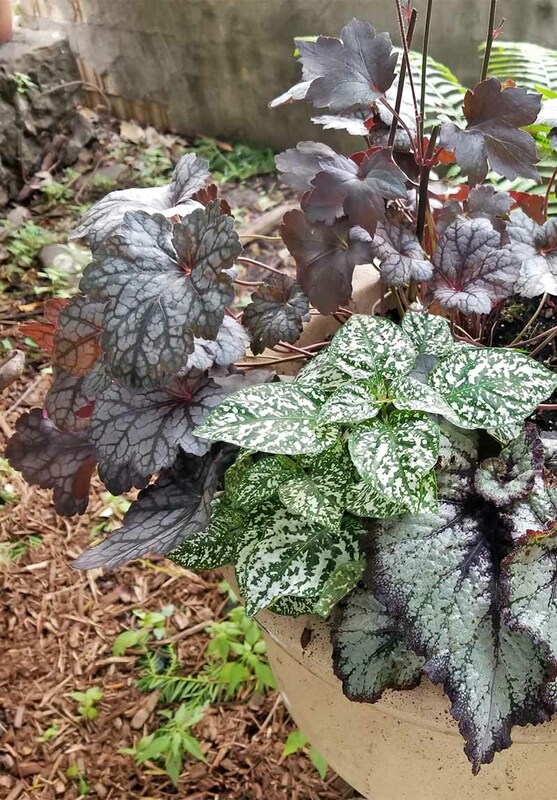 Just remember, they’ll be happier and stronger with the right amount of water… but if you go away on vacation, you don’t need to worry about your Heuchera! 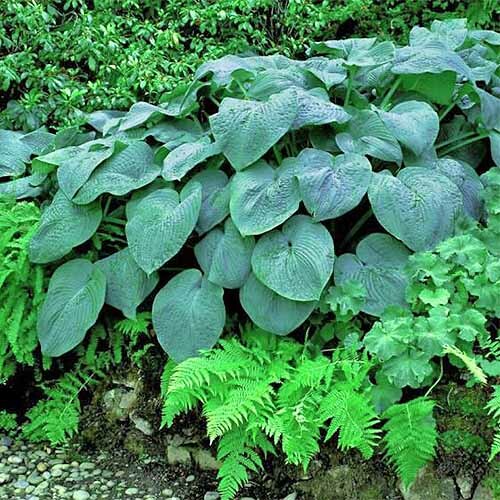 In the wild, most alumroots grow in a woodland setting, often taking root in crevices and steep slopes that offer good drainage. 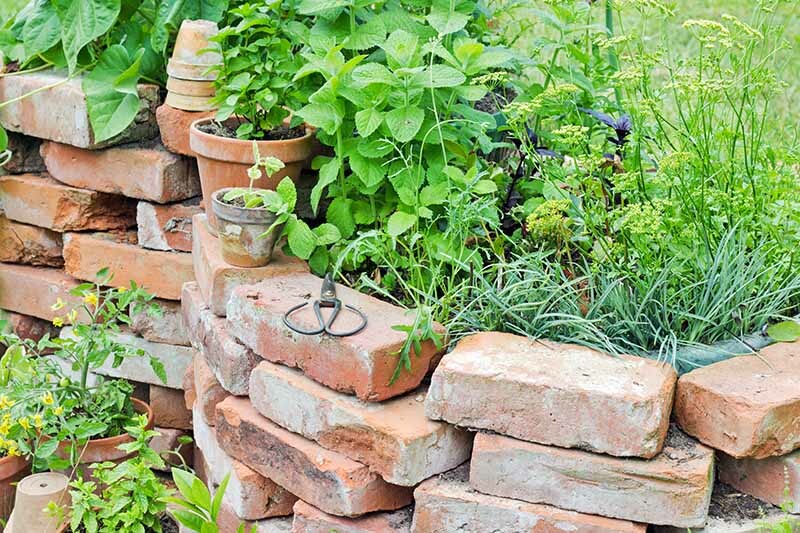 To make your plants happy, try to replicate their preferred natural environment as best you can! That starts with soil that’s nutritious and full of organic matter. A twice-yearly composting is all you need to support Heuchera, as far as fertilization is concerned. 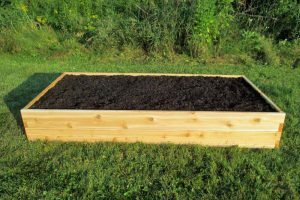 However, soil that is too heavy and full of clay would benefit from amendments like sand and larger quantities of compost before planting. Coral bells do not do well in heavy, dense soil. Because their roots tend to be shallow and fibrous, you don’t need to plant your alumroot too deeply when you buy potted plants. 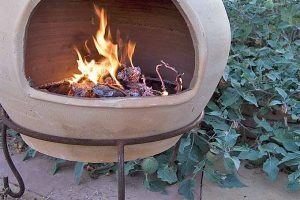 It’s rare to find a pot-bound plant, but if you do, don’t think twice about ripping as much as half of its roots off to fit that plant into the hole. That may seem extreme, but I plant hundreds of these a year, and they all respond well to this harsh handling! 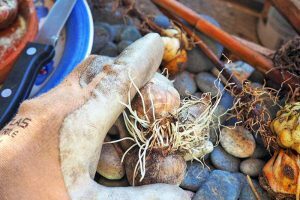 If you’re planting small clumps from mature plants, you’ll have a tougher time getting them to take root – unless they have ample roots to begin with. 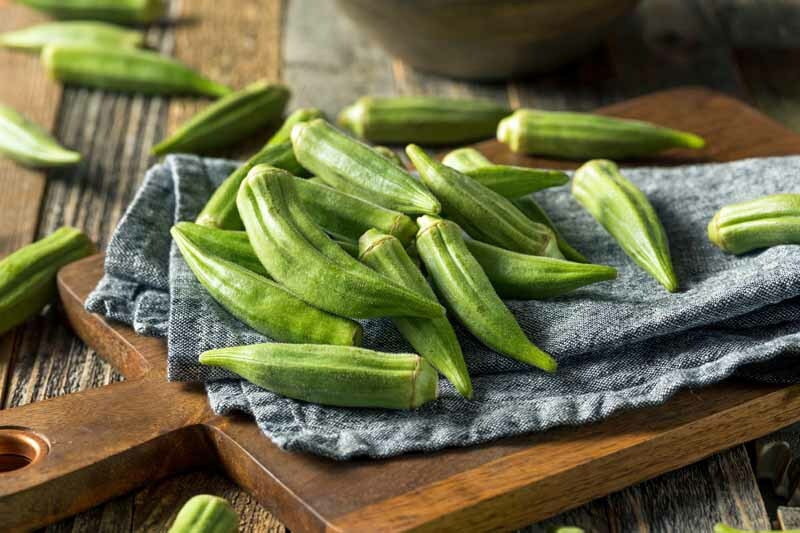 I’ll throw mine into a spare one-gallon plant container and let them take root in a more controlled environment before putting them into the garden. If you are sowing seeds, you’ll have the best luck starting them inside before planting outdoors. Fill a seed tray with 1 part seed starting mix combined with 1 part perlite, and moisten the mixture with water so it will be easier to work with. Be stingy when you sprinkle the seeds over the surface of the filled tray – Heuchera pods contain TONS of very tiny seeds! 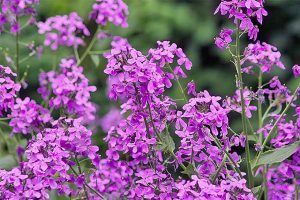 – but don’t cover them with soil, because they need light to germinate. A light misting of water is enough to settle them into place to finish the job. Seeds typically germinate in about two weeks. Because they send out roots quickly, you should thin and transplant your seedlings as soon as they develop a second set of leaves, to avoid damaging the lengthy roots during planting. Don’t worry, they’re pretty darn tough and can handle this! Flowers are very tiny on these plants, and pods are packed with seeds. Photo by Matt Suwak. 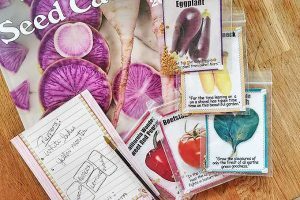 If you’re of the set-it-and-forget-it perspective, you can try directly sowing your seeds in the garden during the fall. 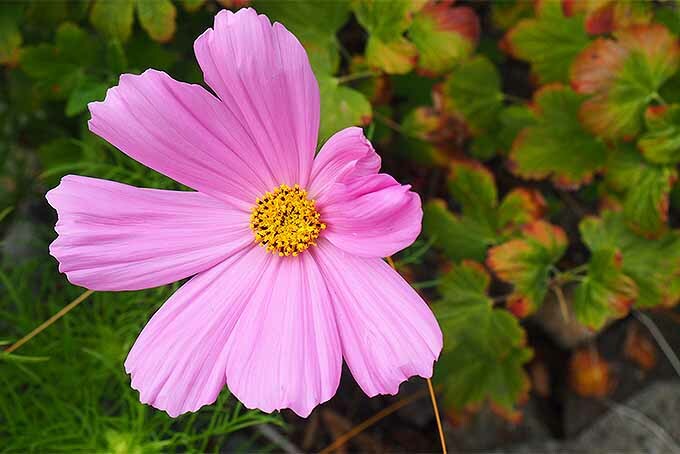 Enough should survive the cold winter and start sprouting in the spring to make your efforts worthwhile. I’ve only ever grown heuchera from seed indoors in a seed tray, so I can’t speak to the effectiveness of direct sowing! 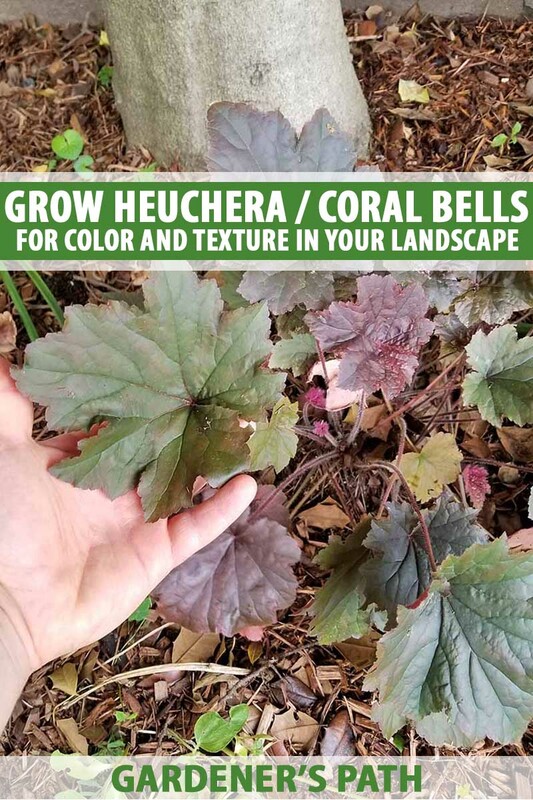 Heuchera is not true to seed, so planting this way will often result in mature plants of different colors than the parent. But, who doesn’t like a nice surprise now and again? 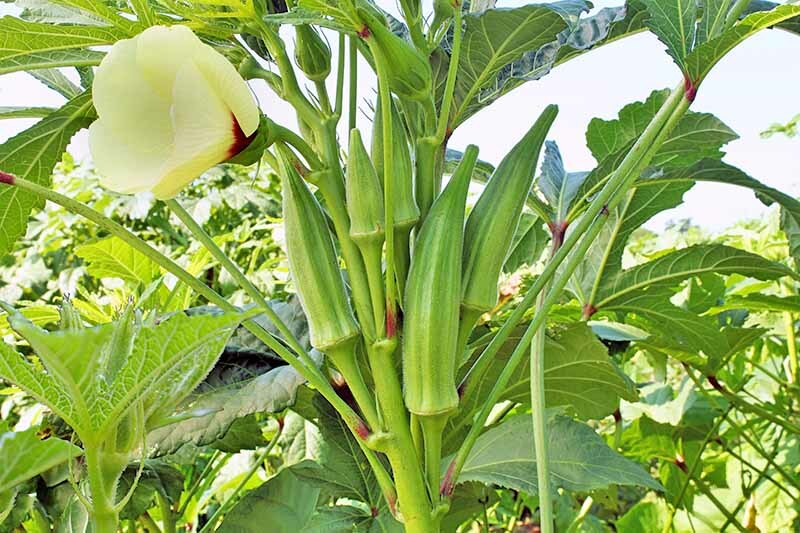 Collect seeds from an alumroot that you’ve grown in the garden by carefully removing the flower stalks when the flowers are dry, but before the pods open. Alternatively, you could buy seeds (we’ll provide more info on some options available for purchase below). So, you’ve chosen your location, the perfect soil is in place, and you’ve gotten a jump on good watering practices. On that note, we should talk about the tendency of these plants to “heave” in the wintertime in cooler climates. When the ground freezes and thaws, it has a tendency to push alumroot from the ground, exposing its crown and making the plant look a little funky. 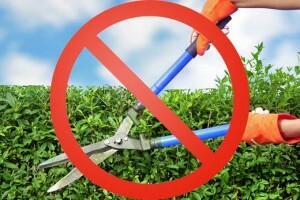 The solution is simple: if this happens, dig a new hole and place your plant back into place when the soil is workable. Keep the leaves in place rather than pruning over the winter, to add a little bit of extra frost protection in case of heaving. When your alumroot gets a little too leggy after a few years, you can easily divide the plant. 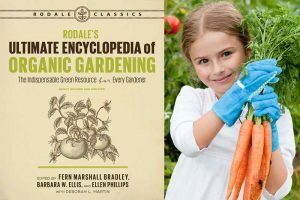 I like to use my soil knife for precision, but you could also pull clumps of your Heuchera out with your bare (or gloved) hands after loosening the surrounding earth with a spade, and start them fresh in the soil. Foremost among those issues is fungal infection. 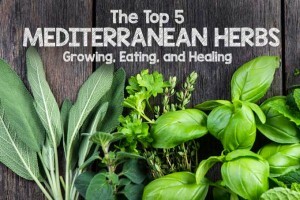 These infections can include rust (rare in the garden but common in greenhouses) and general fungal/mold conditions. The best solution here is to ensure your plants have adequate airflow, good drainage, and aren’t getting too much moisture. When you water, do so around the base of plants rather than spraying water onto the leaves. 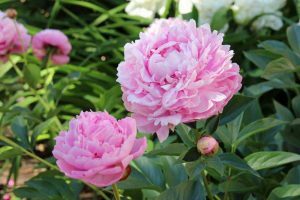 Fungal issues become more pronounced in hot, humid weather, so keep an eye on your plants. Careful watering practices are usually enough to prevent fungal problems, but if you spot an infection and want to fix it, utilize a copper fungicide like this one https://www.amazon.com/Bonide-Copper-Fungicide-Rtu-Natural/dp/B000UJVDXY/ref=pd_lpo_vtph_86_tr_t_2?_encoding=UTF8&psc=1&refRID=SCJEGKHJFW02136NZFGM. 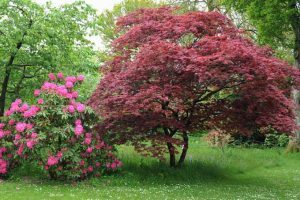 I personally prefer to use chemical sprays in the garden as infrequently as I can, and only when I absolutely need to, so I’ll let most fungal problems linger on until the weather dries up. 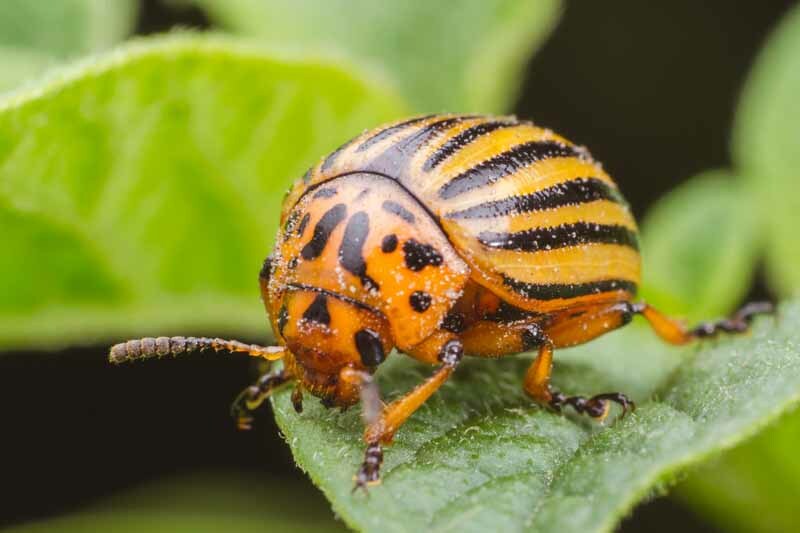 This practice requires a diligent, attentive eye on your plants! 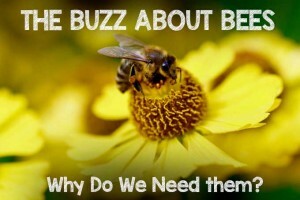 It also comes down to what you consider an acceptable loss in the garden. 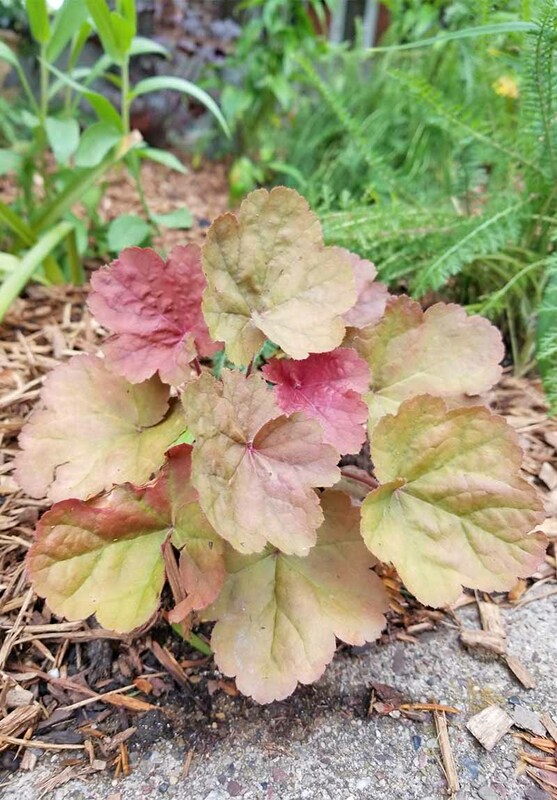 A caramel hued Heuchera, freshly divided from its parent. Photo by Matt Suwak. 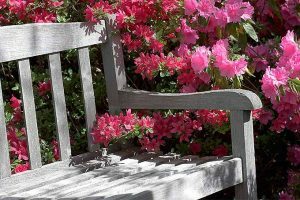 Frequent removal of damaged plant material will be required if you go the natural route, and sometimes dumping entire plants into the trash becomes necessary if the situation gets out of hand. These are acceptable losses in my book, but if you aren’t of that persuasion, you’ll want to spray your plants diligently and regularly with that fungicide. 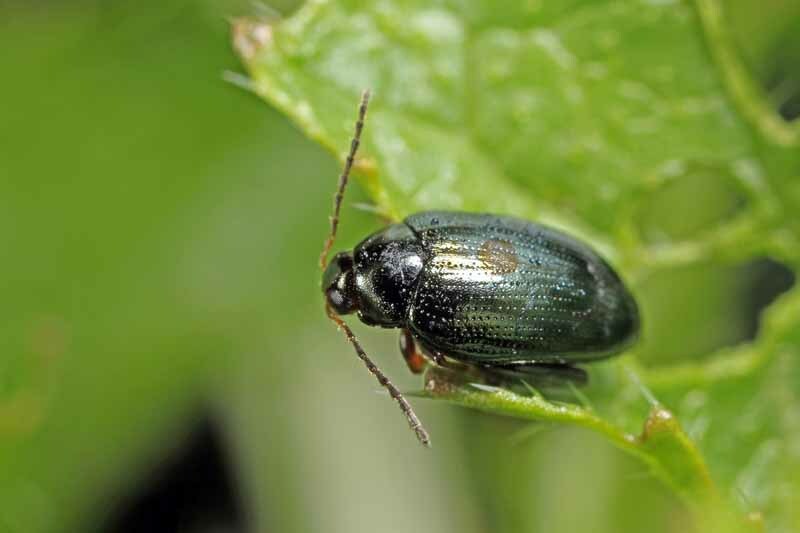 Weevils are the main pest to look out for, but these insects tend to produce cosmetic damage that doesn’t necessitate treatment. Nematodes can also be problematic for alumroot. I’m a sucker for the nearly black cultivars, a rare color in the garden that tends to evoke a lot of interest. But overall, I’ve never met a alumroot I didn’t like. The ‘Plum Pudding’ cultivar is gorgeous – just look at the venation! I have more of this plant in my garden than any other variety. It reaches a modest height of about 12 inches, and will tolerate pretty much any light condition you’ve got. 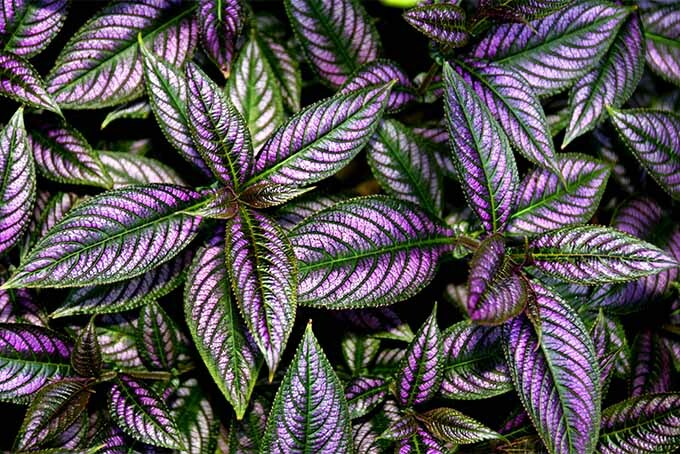 ‘Palace Purple’ is another darker-leafed plant that I’ve seen in many gardens. Its muted, understated color is perfect as an accent to something like an ‘Elegans’ hosta. 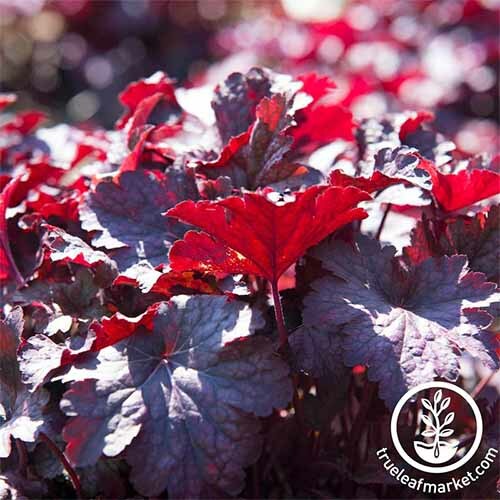 You can try growing ‘Palace Purple’ from seed https://www.trueleafmarket.com/products/heuchera-purple-palace-flower-seeds?variant=39803666632 as well. 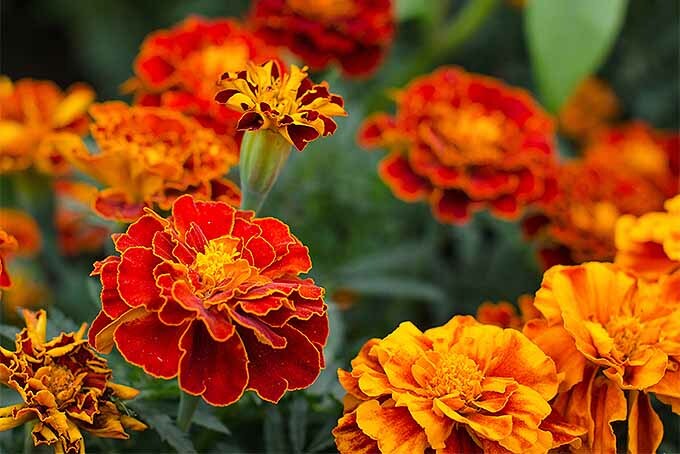 This ‘Caramel’ variety is nice because it has a color that gets along with almost every other hue in the garden. It reaches a height of about 16 inches. These plants prefer a shadier locale than their darker-leafed cousins. If you want to match the lighter-hued leaves of ‘Caramel’ with that beautiful venation found in the ‘Plum Pudding,’ try the ‘George Peach.’ It reaches a height of up to 30 inches and is more of a statement plant than an accent. The much showier ‘Lime Rickey’ is a great pick for when you need something bright but not obnoxious. I’ll pair these with Creeping Jenny in containers! 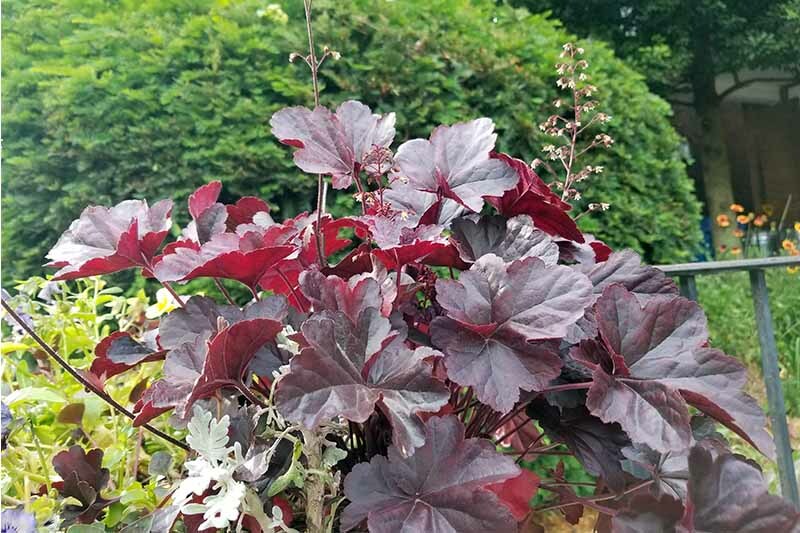 The ‘Melting Fire’ variety is a fairly typical Heuchera, but it stands apart from its peers via the transformation of its foliage from fiery red to a deep purple. ‘Ruby Bells’ has green foliage, but gets its showy name from the deep red flowers that decorate the plant when in bloom. Just remember that alumroot seeds won’t always produce true replicas of the parent plant! 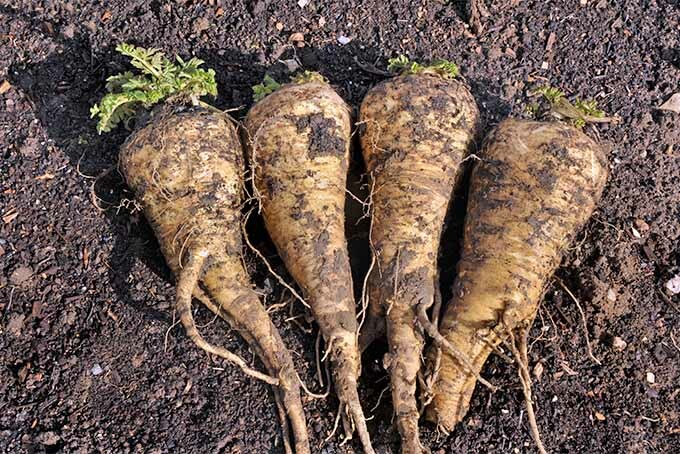 Now you’re ready to dive into the wonderful world of alumroot, and add this excellent plant to your gardens and containers. Although alumroot generally prefers a shady location, it can thrive in any condition with the right care and attention. 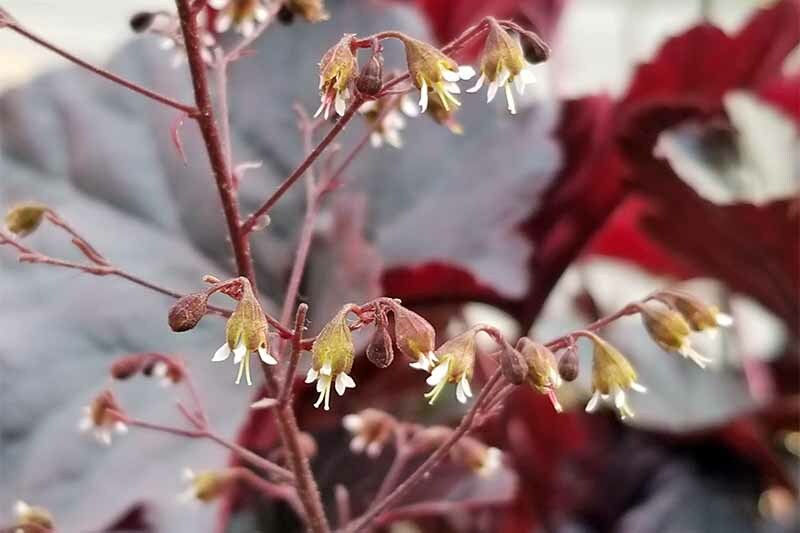 And for something a bit more exotic than coral bells, experiment with the hybrid “heucherella” a combination of Heuchera and Tiarella. What combinations have you used coral bells in? Share your questions and stories with us in the comments below. Thanks for reading! Photos by Matt Suwak © Ask the Experts, LLC. ALL RIGHTS RESERVED. See our TOS for more details. Product photos via True Leaf Market, Nature Hills Nursery, and Miracle-Gro. Uncredited photos: Shutterstock. With additional writing and editing by Allison Sidhu. This was a really good article, thanks! Thanks Gabe, glad you enjoyed it! What would be your pick of color of coral bell against Otto Luyken foundation plants? Looking for recommendations. Matt, Thank you for your article and pictures. The information is great and the pictures helpful. 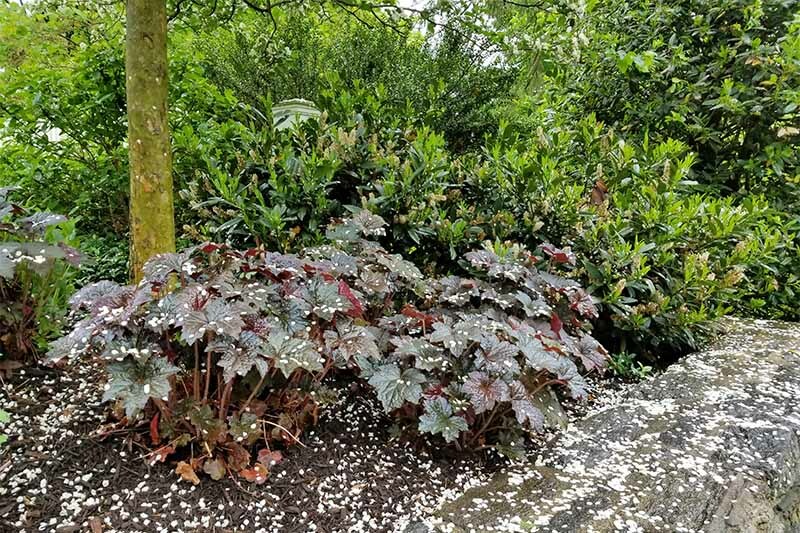 We had a lot of winter here in southeastern Washington state and my Coral Bells are looking really rough and the leaves have wilted and some have turned brown from all the snow and some north winds. Should I trim them down? Will they come out of their wilt? I’m not sure exactly what to do. Thank you for your help. Thanks for the great information! I am a wannabe green thumb gardener but tend to buy and plant over and over! 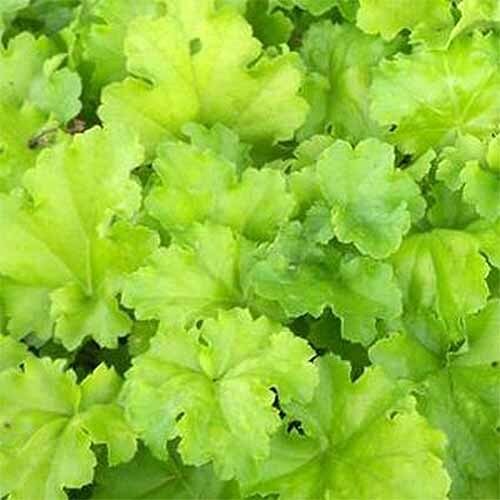 I bought a “carnival limeade” heuchera and with your information I am in love!! Can’t wait to see the results! Thanks for article. 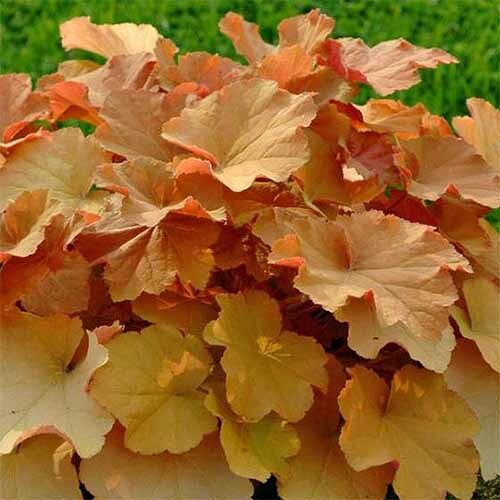 I’m a newbie to coral bells and after getting Caramel, they have my complete attention. This article answered my question on what to pair her with, as I was looking at a peach color anyway. First yr I thought maybe Caramel was mislabeled because she was mostly green, but this yr she is a gorgeous caramel which accents some of the apricot/ salmon colors I have. Love this plant. My questions are 1. 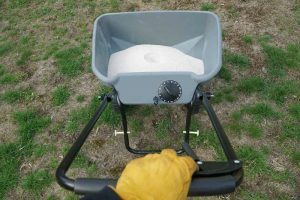 What to fertilize with? 2. Do coral bells come in different sizes or do they all have potential to grow bigger?